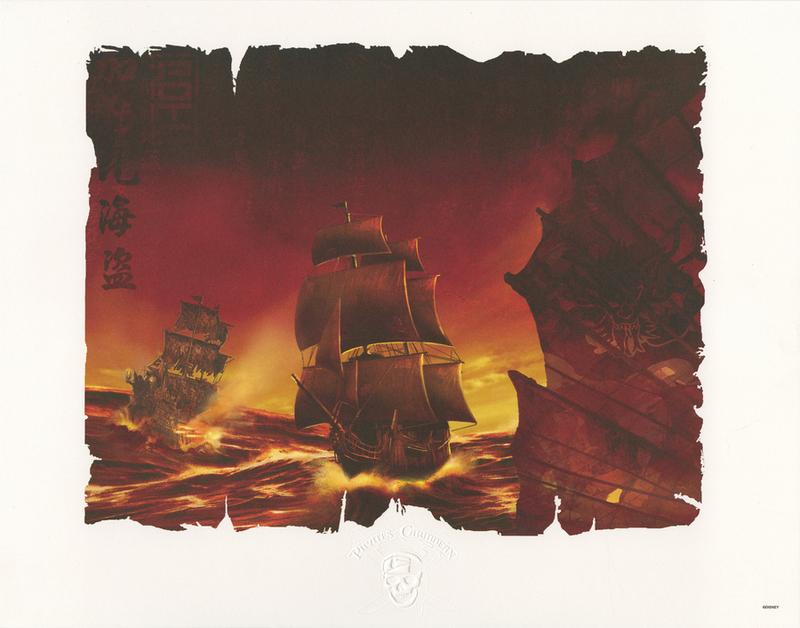 This is a limited release lithograph released at the Disneyland Theme Park in the mid 2000's, around the time of the theatrical release of Pirates of the Caribbean: At World's End. 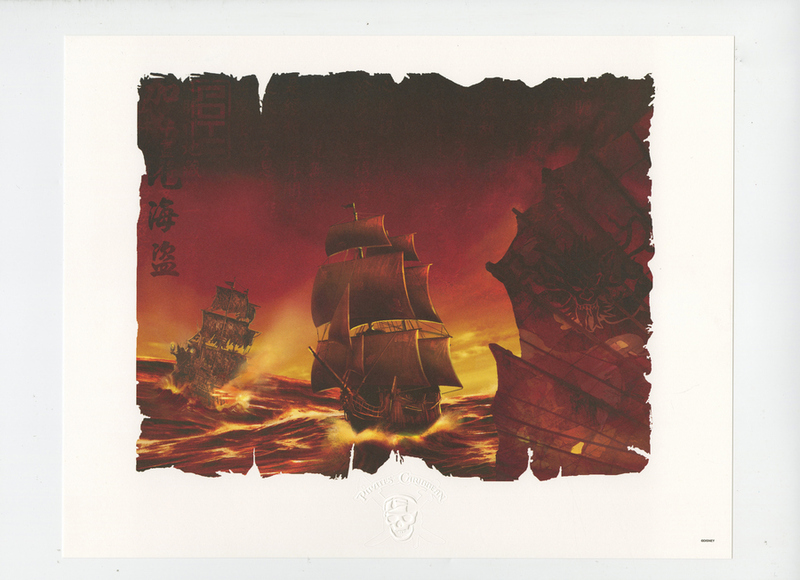 This lithographic print on archival paper features an image of the ships from the films. It was created by Disney Design Group artists in Orlando, FL. The overall measurements of the piece are 10.75" x 14" and the image itself measures 8" x 10.25" with an embossed Pirates logo just below the center of the image. The print is in very good condition.